Show this email at Tijuana Flats TONIGHT! 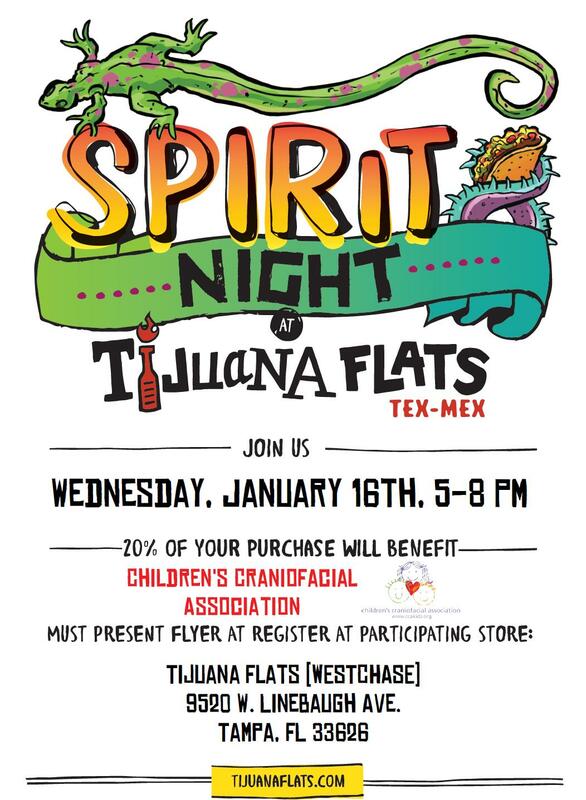 We'll have food, fun, a craft activity and great conversation at Tijuana Flats Westchase. Just show this flyer to the cashier when you order! You must use this flyer for CCA to receive the benefit of the donation!